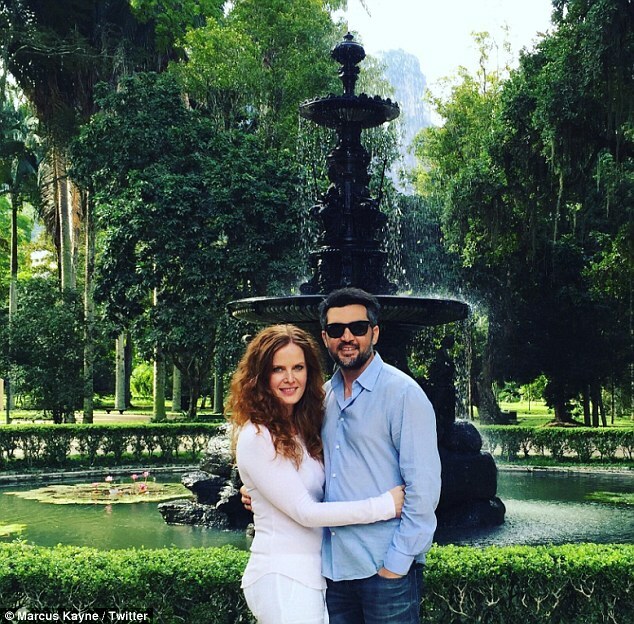 Rebecca Mader has married her longtime beau Marcus Kayne. 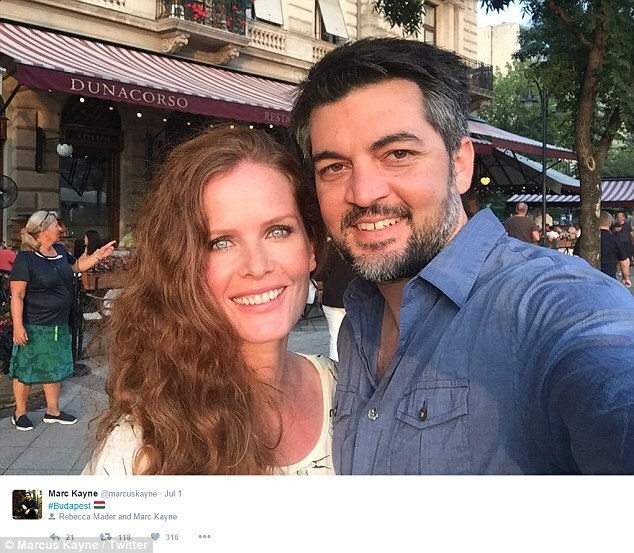 The Once Upon A Time star said 'I do' last month, according to a tweet the redhead shared on Monday. 'We are thrilled to announce that on the 23rd of Nov, Marc and I became Husband and Wife! We're Married!' the 39-year-old actress wrote. 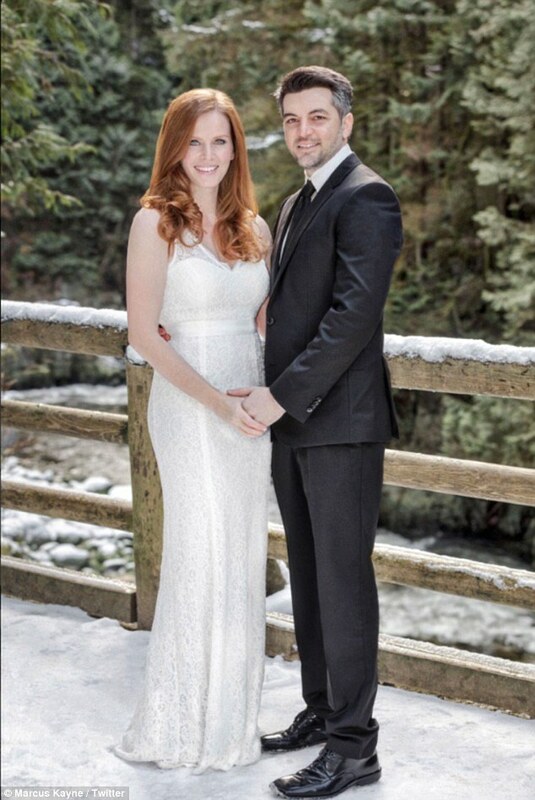 The stunner shared a portrait of the two of them holding hands while on a snow-covered bridge. The actress had on a white lace sleeveless dress that came in at the waistline and have a V neckline. Her red locks were worn down in soft curls and she had on flattering makeup in pastel colors. TV producer Kayne wore a dark suit with a black tie. The couple announced their engagement on social media on Christmas Day in 2014. 'IT’S OFFICIAL! 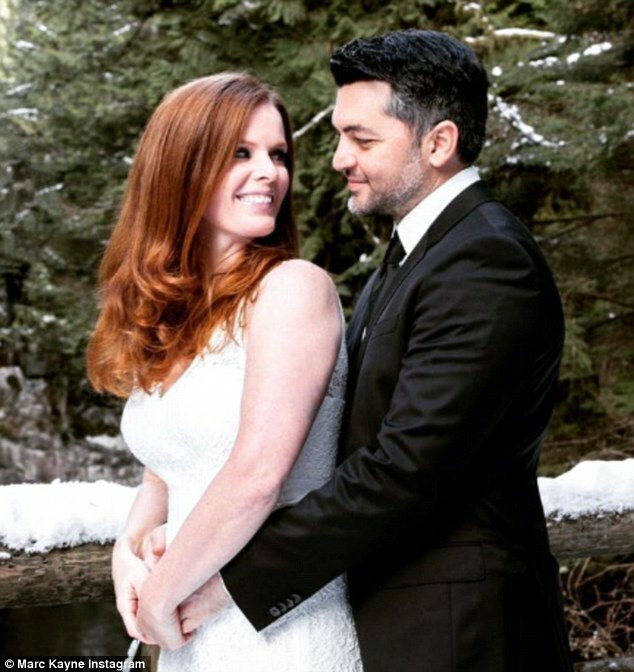 @marcuskayne and I are engaged! #BestChristmasEver,' she wrote. The star was wearing a red-and-white Santa hat as she smiled from ear-to-ear. Her long red hair was worn in loose curls over her shoulders. Mader was also showing off her engagement ring - a rectangular-cut diamond with micro-diamonds around it and set in white gold. They have been dating sine late 2013. The star plays Wicked Witch Of The West Zelena on Once Upon A Time, which also stars Ginnifer Goodwin. She has also appeared on Lost, No Ordinary Family and Work It. She worked with Meryl Streep in The Devil Wears Prada. Mader's first marriage, to businessman Joseph Arongino, ended in divorce in 2008. Kayne is a producer on the reality show Do Or Die. He has also acted on the TV show The Big Bang Theory, Gang Warz and Exorcist Chronicles.